Who needs another sweater? Give an experience this year --- a weekend or a night in beautiful historic Savannah, Georgia. This will be one of the best gifts you'll ever give. You determine the amount; they select the property and the dates of their Savannah getaway. Complete the form below, and we'll send the certificate to you for giving directly, or we can mail it to the recipient. Valid at any of our six inns and historic Savannah hotels. The recipient chooses the location! You determine the gift certificate denomination amount. Gift Certificates are valid for up to one year from date of purchase. No hidden fees or blackout dates. 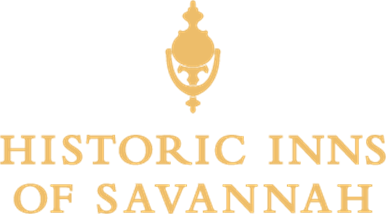 Please Contact Ronnie Jones (Innkeeper at East Bay Inn) for Historic Inns of Savannah Gift Certificate assistance. If you would prefer to give a gift that is valid at a specific hotel, please visit one of these pages to purchase a property-specific gift certificate.